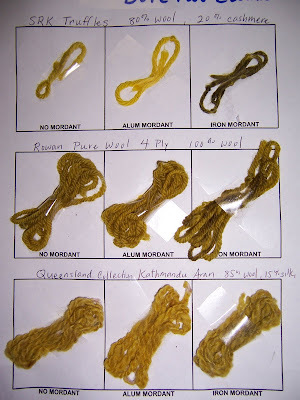 I thought I would share what I've learned so far while using our recent mushroom haul in some yarn dyeing experiments. 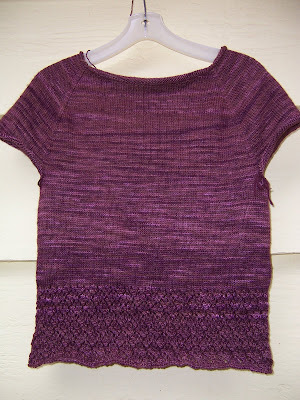 I knit this in Cascade 220, which I dyed with 2 different kinds of mushrooms. 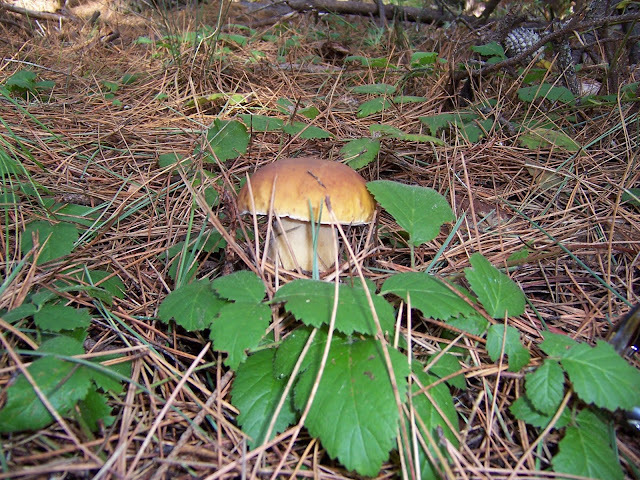 Both the pale yellow main color and the chartreuse stripes were created from Boletus edulis, or Porcini. 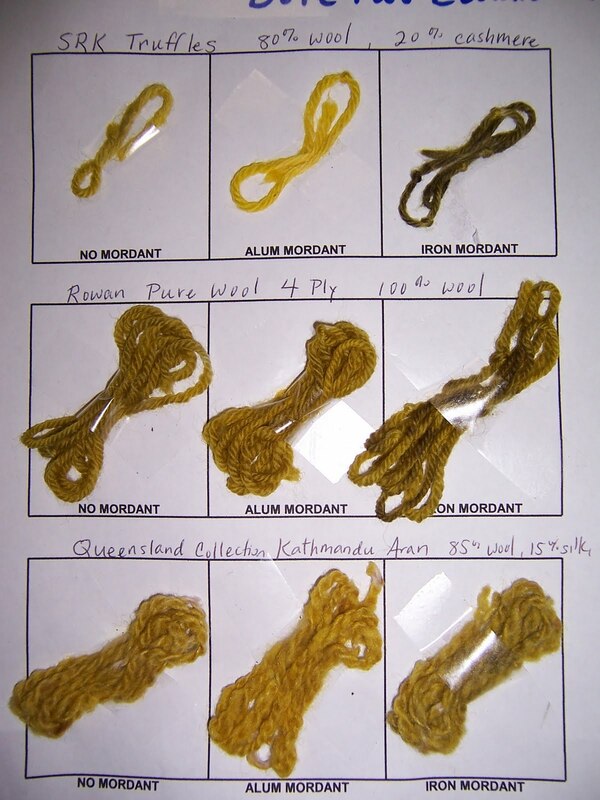 One can achieve lighter or darker colors from the same dyebath, depending on the ratio of mushrooms to fiber. 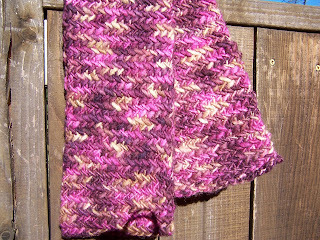 Or, as I did in this case, by dyeing a second batch of yarn in an "afterbath" or previously used dyebath. The taupe-like shade was created with a Hydnum imbricatum, commonly known as a Hawkwing mushroom. 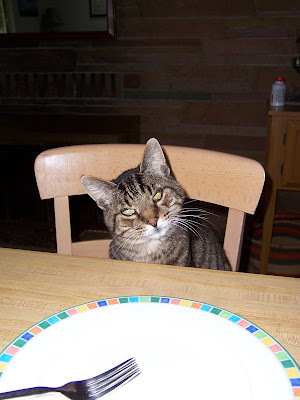 I've been searching unsuccessfully for more Hawkwings ever since. 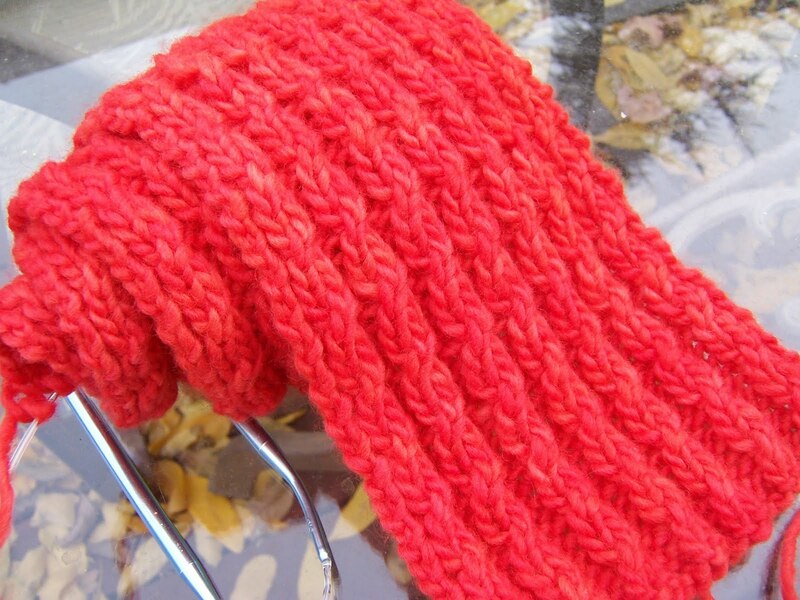 When I made this hat, all I knew was that you prepared a dyebath by cooking all or part of the mushrooms, and that you could add alum as a mordant. I was operating under the assumption that any mordant was better than none, in terms of achieving a more saturated color. 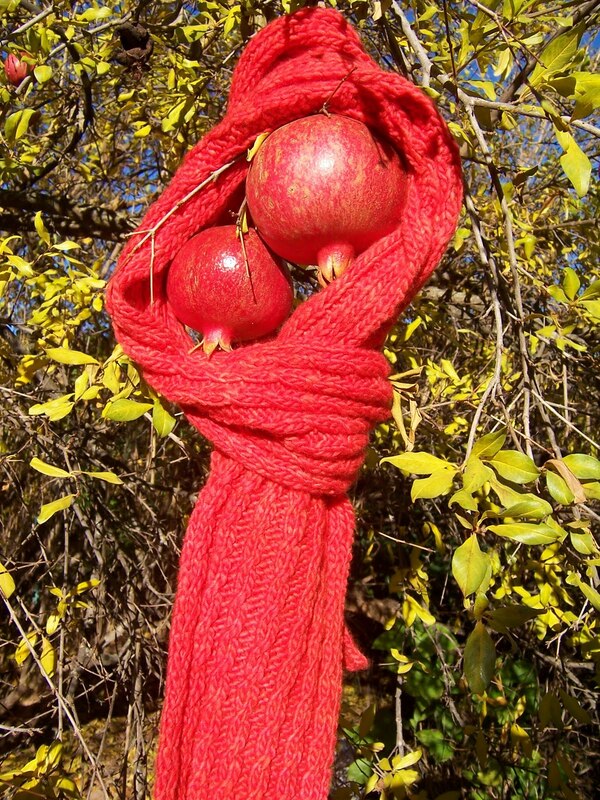 My husband is waiting for me to knit this Klaus pattern from Cocoknits. 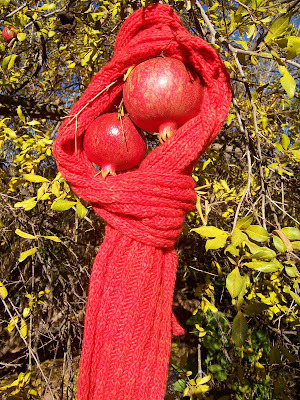 I already have a number of skeins of yarn dyed from Porcini, so now I need a contrast color. 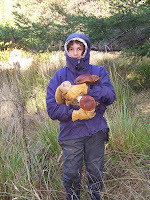 So, after our last mushroom hunting trip, I decided to be more methodical. I read more about the mordanting and dyeing process in The Rainbow Beneath My Feet: A Mushroom Dyer's Field Guide. This book gives recipes for various mordants including alum, chrome, tin, copper, and iron. However, I've used only alum and iron. I have gathered from reading other sources that many people have stopped using chrome, tin and copper because of their toxicity. 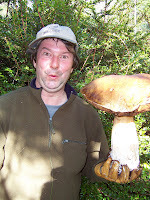 I made two different dyebaths by cooking one pot of Boletus edulis, and one pot of the single woody mushroom I found. I had high hopes for this second mushroom as it is commonly know as the "Dye Polypore". 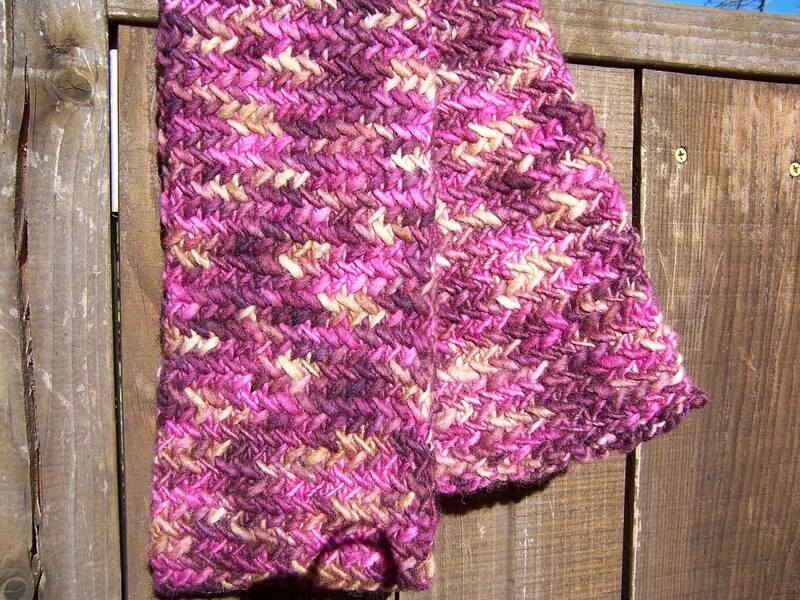 I used three different yarns, prepared three ways: no mordant, alum mordant, and iron mordant. These photos did not capture the colors accurately but you get the idea. While none of these colors fall into my favorites category, I am so happy that I went to all this trouble. Now I know that alum brings out yellows, and iron enhances greens. 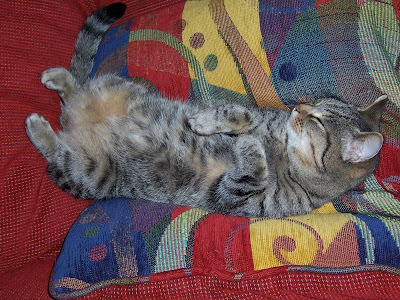 And sometimes no mordant at all is even better. 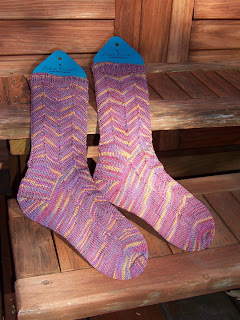 I still have one more shot at getting my hands on some Hawkwings this Fall. 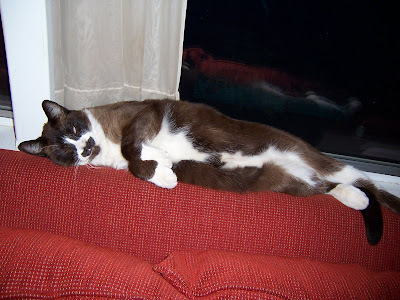 If it works out I will use that to dye more yarn for Klaus. If not I will use more Porcini with iron mordant to aim for that olive green pictured above. 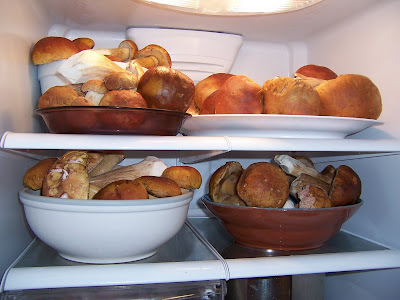 My husband has been hunting for Boletus Edulis, or Porcini, as they are called in Italian cooking, ever since his grandfather introduced him to the activity when he was 5 years old. 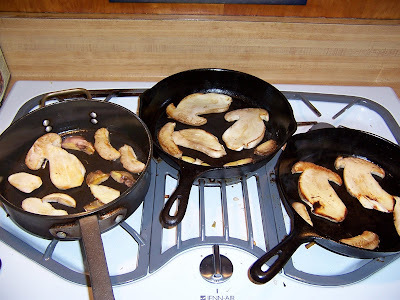 I have learned to recognize a few different edible mushroom species over the years, but the porcini is by far my favorite to cook and to eat. On the other hand, our son has yet to acquire a taste for them, but still loves the hunt for these edible treasures, which means more for us! And now I have an another, ulterior motive for encouraging this family activity...yarn dyeing! 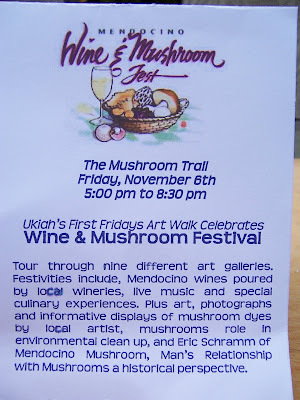 It just so happened that a last-minute decision had put us there on Nov. 6th, and it just so happened that the nearest art gallery was the one with the "informative displays of mushroom dyes by local artist". 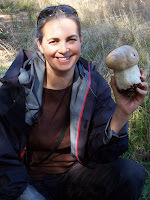 I spent as much time as I could soaking up the available information, and got to chat with a teacher, and board member, of the International Mushroom Dye Institute. It was amazing to see the earthy tones of yellow, green, pink, orange, brown, and even purple, produced on wool and silk with mushrooms! I hope to return sometime for a workshop. Meanwhile, I can't help but appreciate how life's little coincidences work out sometimes. The next two days we were out with our baskets during most of the available daylight. With the porcini being so plentiful, I felt free to take time to try to find and identify other mushrooms. We use guide books and we are sure to never pick and eat any we can't positively identify. Our favorite books include All the Rain Promises, and More..., and Mushrooms Demystified, both by David Arora; as well as The Rainbow Beneath My Feet, by Arlene Rainis Bessette. 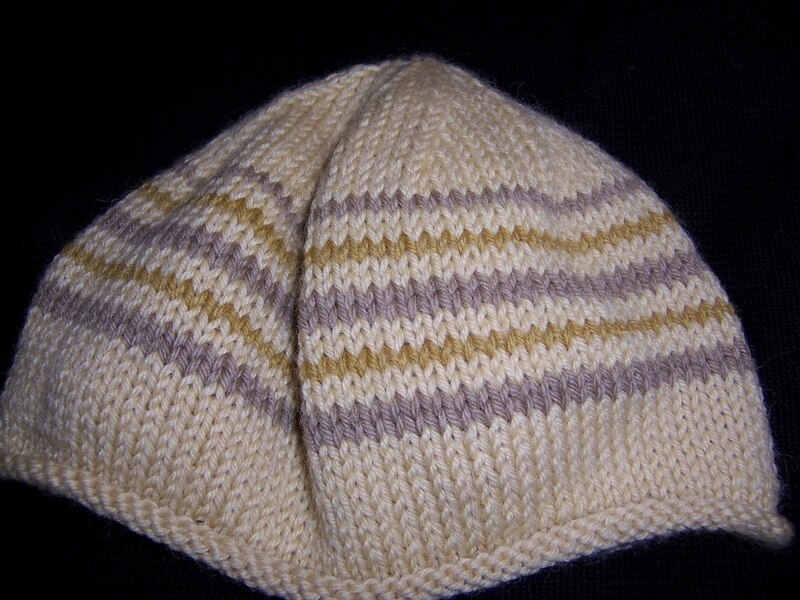 I like how the hat came out, and my husband is waiting for me to knit him a whole sweater out of porcini dyed yarn, but I've been hoping for some variety. Last weekend I did find other mushrooms, but only one I thought was worth keeping for dye experiments. We are just about done handling the porcini that are still good to cook. 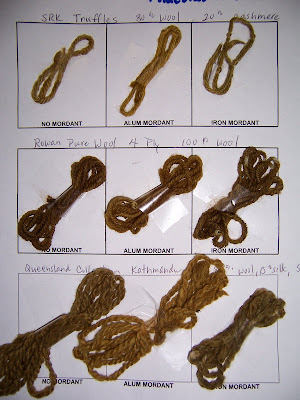 Then I plan on making some dye baths with the leftovers, as well as one with a woody mushroom I found. I hope to post photos of that process this weekend.